Requirement 4e used to require "an Indian story of at least 300 words, or any number of shorter ones adding up to 300 words." We believe, but have not confirmed, that the change from 300 words to 25 words as shown below was a typographical error in the pamphlet, but until we get confirmation from BSA, we've shown the wording in the pamphlet. 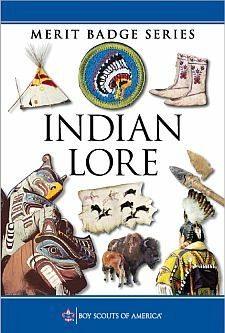 Learn in English (or the language you commonly speak at home or in the troop) an Indian story of at least 25 words, or any number of shorter ones adding up to 300 words. Tell the story or stories at a Scout meeting or campfire.